A good weekend to you dear friends and lovely creatures! 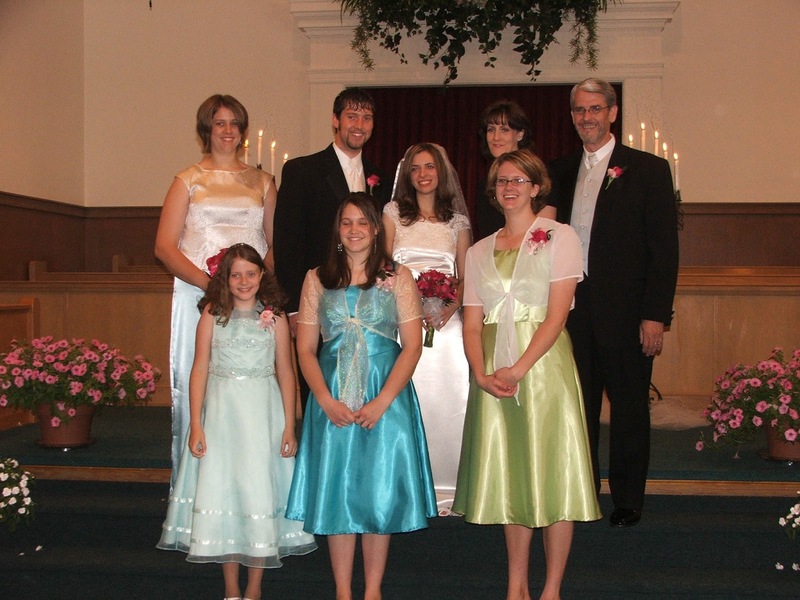 This weekend - Friday - was a special day 10 years ago - June 30. Before I get to the story, here is some background. I have a reputation - in the past - and a little in the not too distant past - of staying up ALL night working on a garment or other sewing project till the sun comes up! 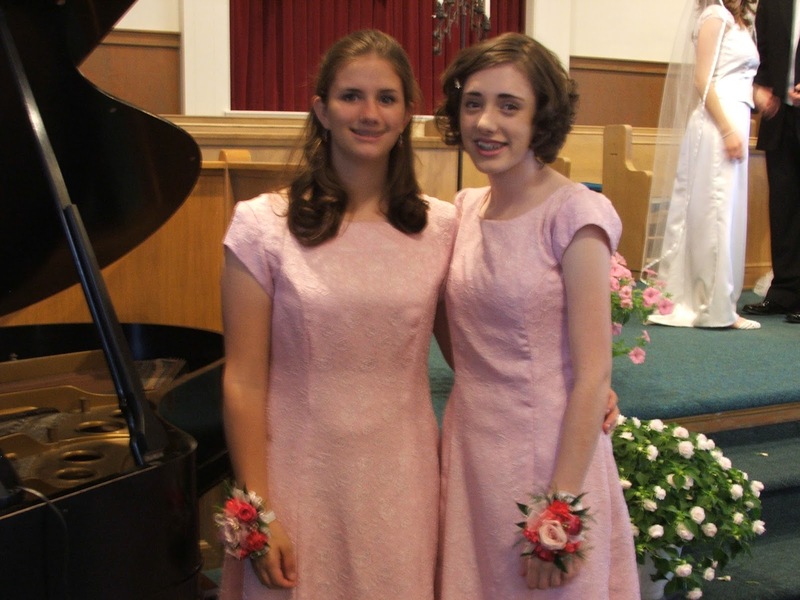 I've had several of these all-nighter sewing sprees - mostly during my daughter's teenage years when she needed a special formal dress for our church's youth group's annual spring banquet. Since I was working full-time during her school years, sewing projects were delegated to the evenings and weekends. When it was deemed necessary to go through the night, I would usually take my sewing paraphernalia downstairs so I wouldn't bother my husband or daughter while they slept. I had a tiny sewing area at the top of the stairs. That would have been our house in Burlington, MA. I am a night person, so sewing through the dark hours of the night and into dawn's early light doesn't phase me. But this time, I planned ahead for my daughter's wedding! I finished my dress and I finished her wedding gown and veil a week ahead of time! So there was no excuse to sew through the night at the last minute. Okay....so you're wondering now. Did something happen out of the ordinary? Yes! And here is what transpired! Photos will follow after the story. Friday, 10:30 p.m. Time for bed. Postpone that thought! Groom's mother (Martha) called to use my machine for some last minute sewing. They were from out-of-state and staying nearby. I told her it was not a problem. 11:00 p.m. She and her daughter Amy (bridesmaid) arrived with a sewing nightmare that transcended my comprehension. My mouth gaped open. There were no words to describe what I was looking at! I needed more help. I telephoned my sister, Cindy, who had just gotten into bed. 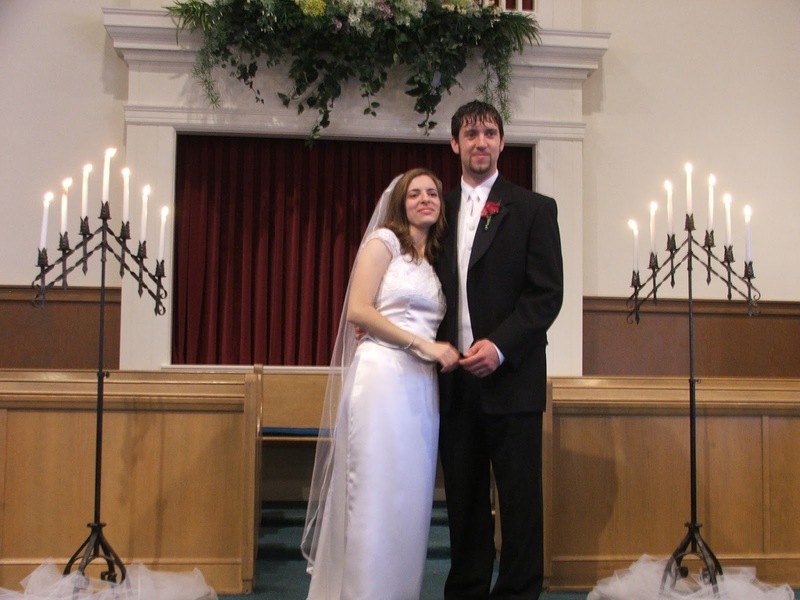 She and her family were staying with friends nearby as they had moved to SC and were up for the wedding. For some reason, she had decided to bring her serger on this trip. She brought it to my house. 11:30 p.m. 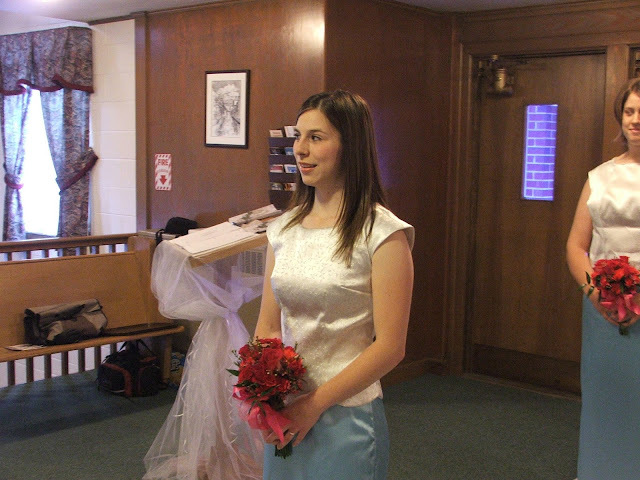 The bridesmaid's top - the fabric, a beautiful silvery blue brocade - was sewn by a friend of the groom's family. Cap sleeves they were not and neither "sleeve" was the same size! One armhole was larger than the other, allowing wonderful views of the wearer's underclothes. A scalloped hem on the front was missing and the button holes down the back were irregularly spaced. Add these elements together and you have a skewed and non-fitting top. Bad sewing job, indeed! I felt sorry for the seamstress. 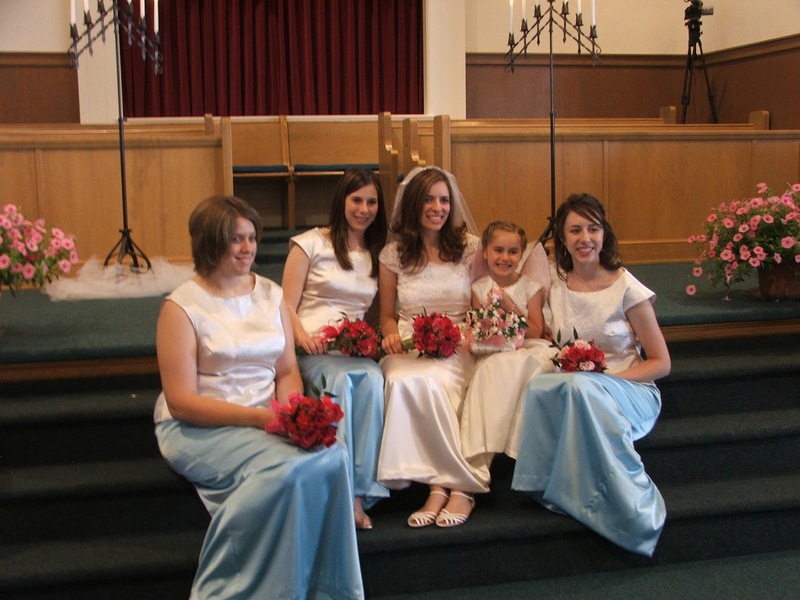 I called my friend, Monica, next door whose daughter (Heidi) was a bridesmaid and asked if we could borrow her top (to use as a guide) and the pattern and any extra fabric. 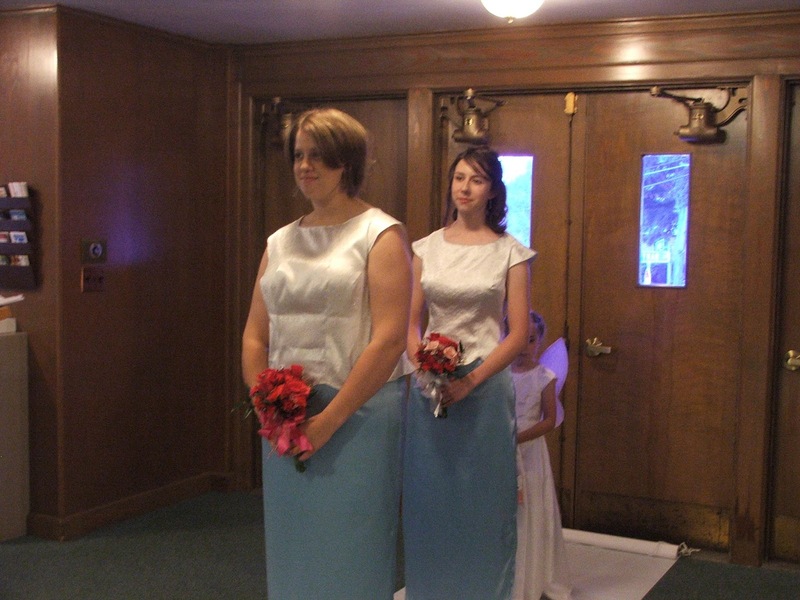 Now, this bridesmaid was not the same size as Amy, but we were desperate to fix this sewing dilemma. I dug into my pattern stash for something to help the situation. Maybe a sleeve pattern that would fit Amy's top. That didn't work. I kept looking at the clock. Maybe by one o'clock we'll be done, I thought. That turned into two o'clock. And time ticked away as we all tried to figure out what to do with this ill-fitting and lop-sided top. Poor Amy! 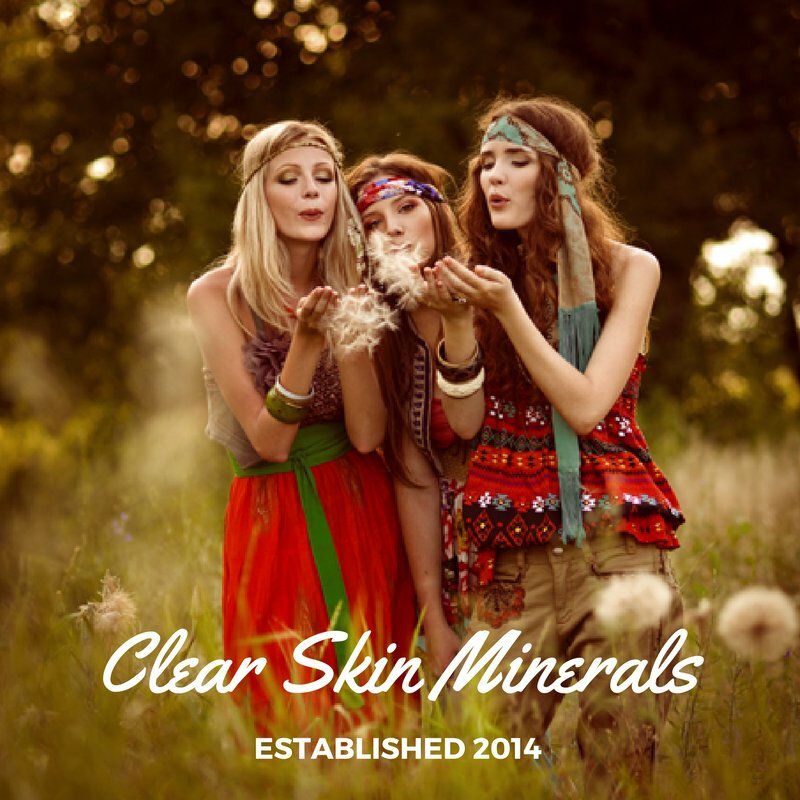 While we three women wracked our brains to make her top fit and look respectable, she dozed in the living room, exhausted from her plane trip fraught with cancelled and rebooked flights. She had slept overnight on the floor in a New York airport, only arriving in Boston that afternoon. Fortunately (thank the LORD! ), she decided to try on her outfit after the rehearsal - not the morning of the wedding! Incidentally, she only got possession of her top that day, it being hand-delivered by other wedding guests arriving from out-of-state! 3:00 a.m. Martha desired coffee. Soon the aroma of freshly brewed coffee wafted upstairs and a sleepy husband wandered down to see what was going on. Seeing the bright lights and the wearied and strained looks of the women in the kitchen, he retreated back to bed, not wanting to get involved. I wanted to join him! 4:00 a.m. I heard the birds outside and thought about breakfast. But I really wanted to crawl into bed. 5:00 a.m. After multiple fitting sessions, we removed the lining and all the darts, and basically started from scratch. Fabric was added to the sides and we closed up the armhole gaps. Darts were added in places you wouldn't normally put them. We ignored the irregularly spaced button holes because we couldn't do anything about them. We ignored the lack of a scalloped front hem and the misshapen "cap" sleeves. Since we couldn't remake the lining, all the edges of the top were serged, and a narrow hem was sewn. Thank the LORD Cindy brought her serger with her from SC because I didn't have one! 6:00 a.m. We were done! The top fit with no gaps and almost looked like what it should have looked like! We did a quick check of the skirt and decided that even though the bad invisible zipper job on the skirt wasn't invisible, no one would notice it. This was one outfit that would never grace a body again. It was a sorry situation, to say the least. My sewing helpers left and I trudged wearily to bed to catch a couple hours of sleep passing my husband on the stairs as he had just gotten up to get ready for the big day! Heidi/neighbor friend - we borrowed her top for help in fixing Amy's top. Amy with Holly, my niece, behind her. You can see Amy's top is slightly different than Holly's. We did what we had to do with what we had! 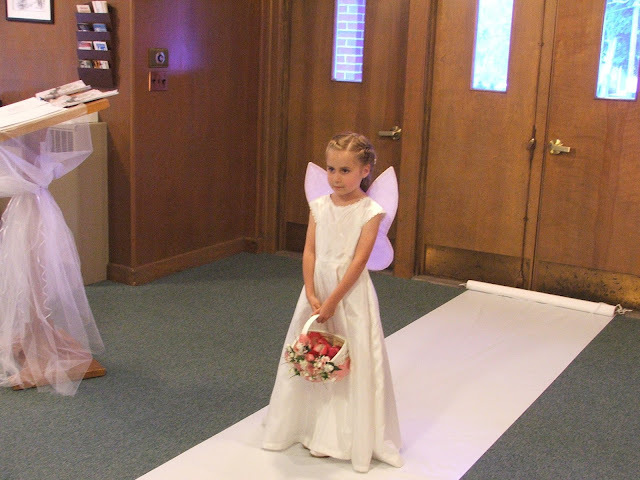 My niece, Abigail - flower girl, with her wings. All the girls/women in the wedding party had dresses that were hand crafted, not purchased. Kim/neighbor friend and my niece, Audra - they were candle lighters. Melody & Adam - the beautiful bride and handsome groom! If you didn't know the story, you may not have even noticed that Amy's dress was slightly different than the others. 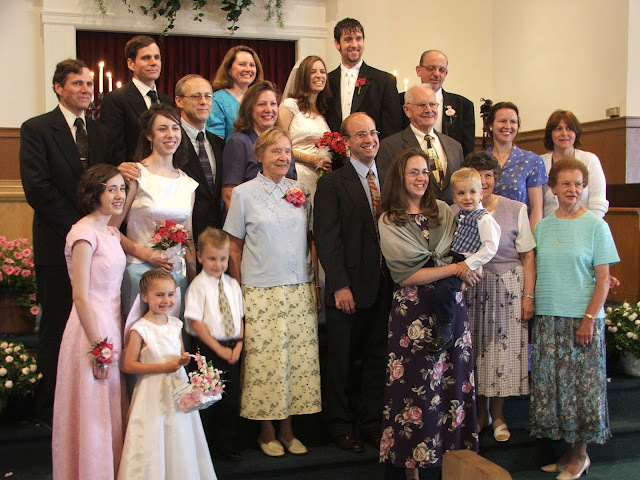 I've included a few more photos of the rest of the wedding party, the groom's family and our family. Sorry - not everyone. Some photos I don't have digital copies of right now. The groomsmen and groom. 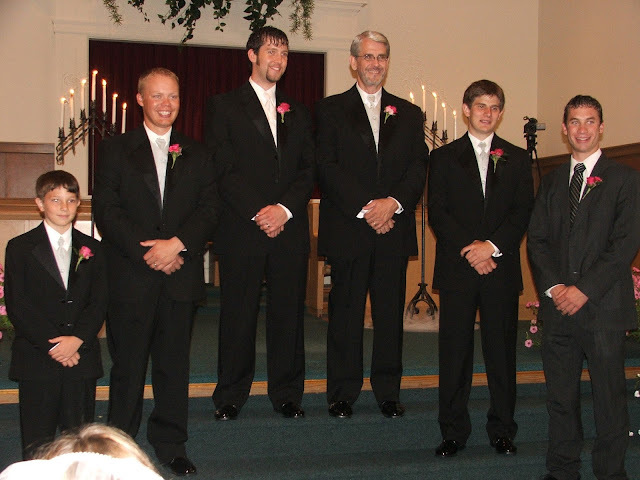 From left to right - Ben/neighbor friend, David/friend, Adam/groom, Dean - Adam's dad and Best Man, Keith/neighbor friend, and Tim/our nephew. And my mom, siblings, and relatives on my side. Cindy is standing in front of me. Unless it's for someone else's wedding, I certainly hope this doesn't happen again. 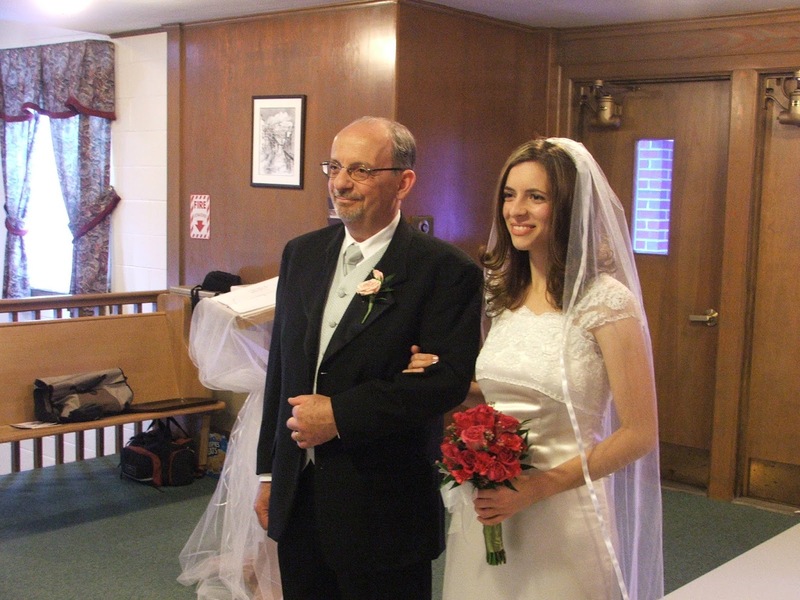 I was a little tipsy that day from the lack of sleep, but the rest of my daughter's wedding day moved along without mishap! It was beautiful! And I was very thankful I had planned ahead for my own sewing projects. You couldn't have dreamt up this sewing nightmare. It was surely a NIGHT and a day to remember! 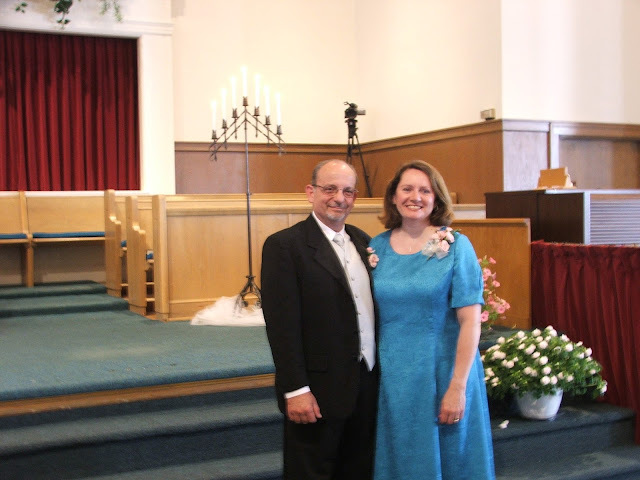 A Happy Anniversary to our dear daughter, Melody and her wonderful husband, Adam!